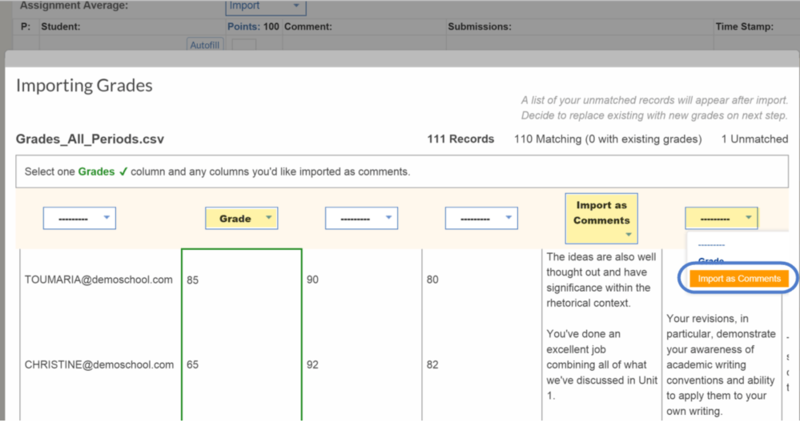 SchoolLoop supports importing grades from comma-separated value (.csv) files. This information will be used by teachers or agents who wish to import grades from a .csv file into a Gradebook or Assignment list. 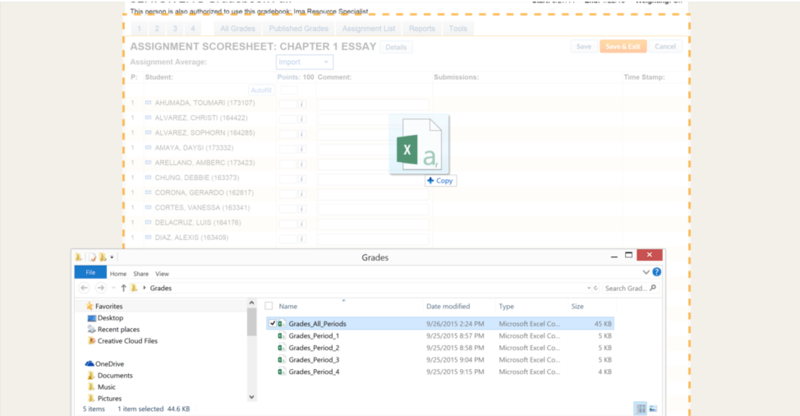 Navigate to the Assignment Scoresheet by clicking on the assignment title in a course Gradebook or Assignment List. Drag the .csv file into the scoresheet. Note: Files can also be imported by clicking on the Import dropdown menu and choosing Grade File (.csv) file. Select the file from your device and click Open. 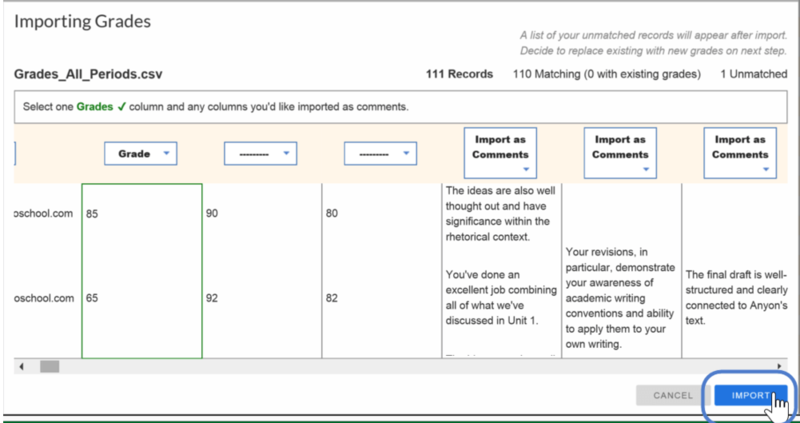 Select a column from which to import scores or grades. (Optional) Select one or more columns to import as comments. Click Save or Save and Exit to save the imported scores. Next, Publish the scores to keep parents and other members of the learning management team in the loop. All imported scores should be viewable before and after publication.